Aurora SAD SAM 9in Plush Hound Dog. Sad Sam is in nice pre-owned condition. I clean and test all toys to make sure they work satisfactorily. Batteries are not included. 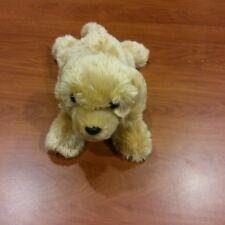 Aurora World Floppy Plush Goldie Labrador Dog, 12". plush and adorable.